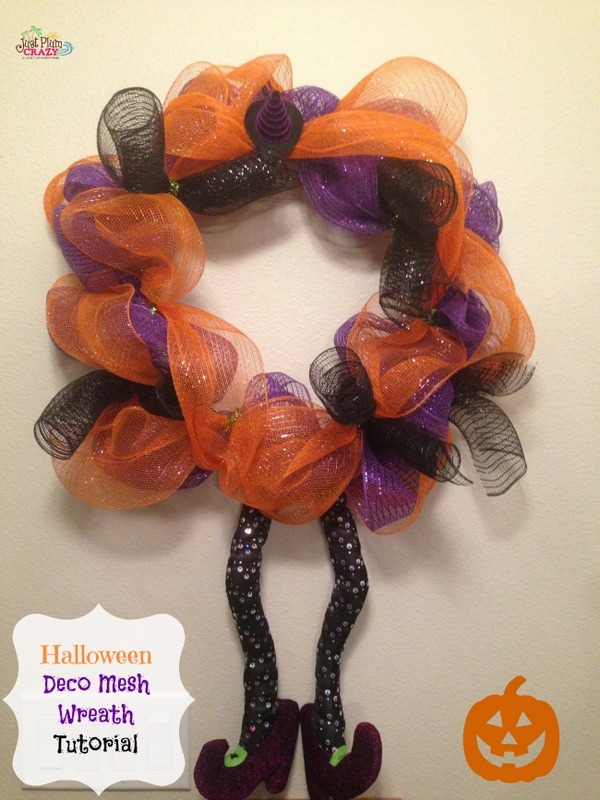 Deco Mesh Halloween Wreath Tutorial! 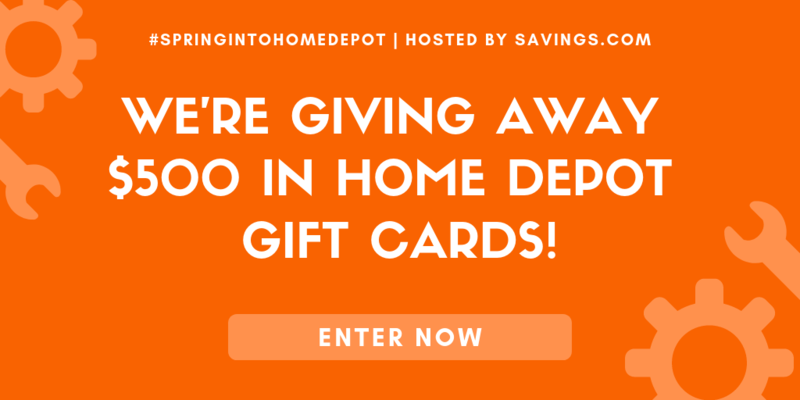 Welcome to day 2 of our 12 Days of Halloween filled with recipes and crafts. What an exciting time of the year. I love the holidays and Halloween kicks it off for me. Fall brings ghosts and goblins, apples and pumpkins. 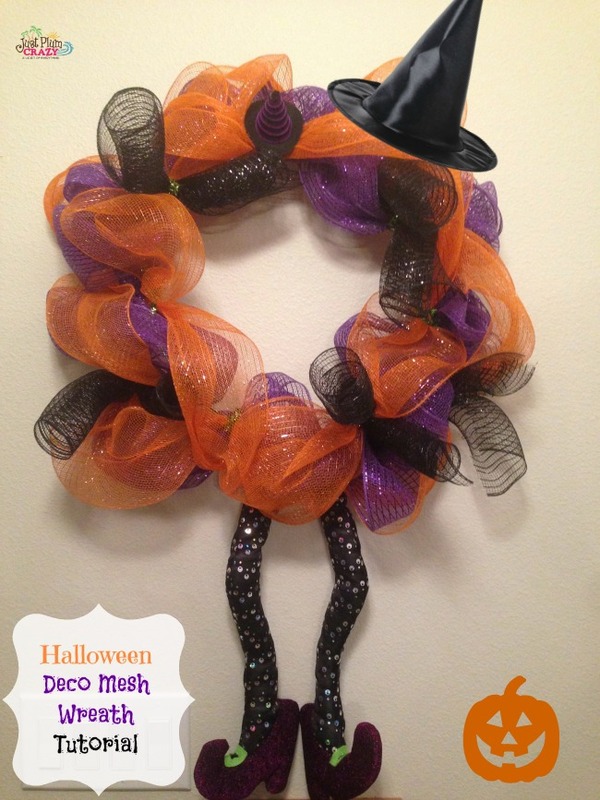 Today we have a Halloween Deco Mesh Wreath tutorial. It’s easy to make and there is really no wrong way to do it. You can leave it plain or add different kinds of embellishments like hats, ghosts, or blackbirds. 1 Large Roll of Deco Mesh in your choice of color. I used orange but you can use any Halloween color that you would like. 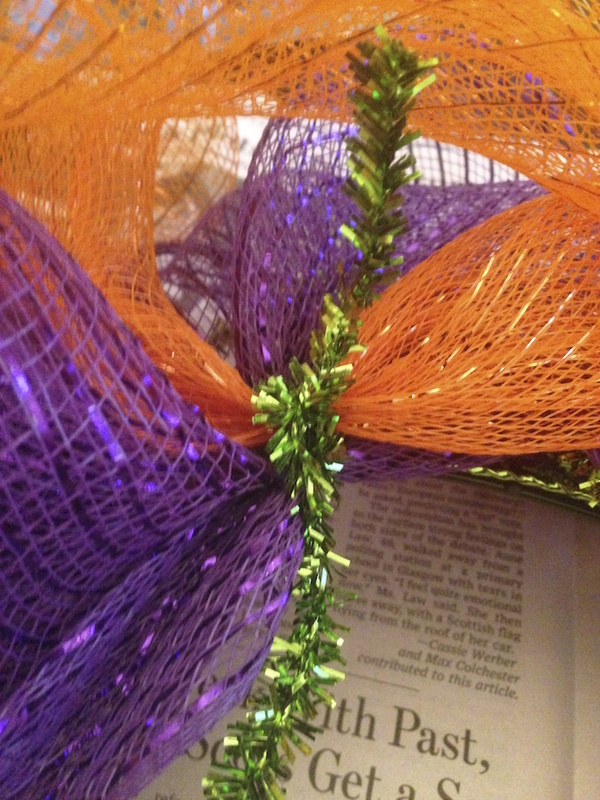 2 Small Rolls of Deco Mesh in your choice of color. 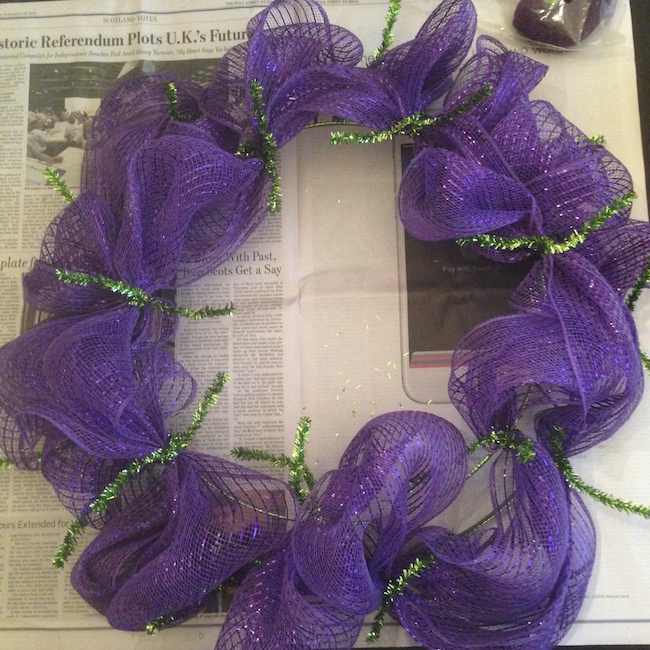 1 Wire Wreath with attached pipe cleaners. Embellishments of choice. I used legs for the bottom and a hat on top. I start with the big roll and work my around alternating pipe cleaners and ending in the same pipe cleaner I started with. Just grab a bunch about every 4 inches and place inside pipe cleaners. 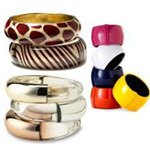 For the second color I use the smaller roll and work my around alternating with the ones I left empty. I leave the pipe cleaners loose after placing the bunch in it so that I can add another color or embellishments if I want. 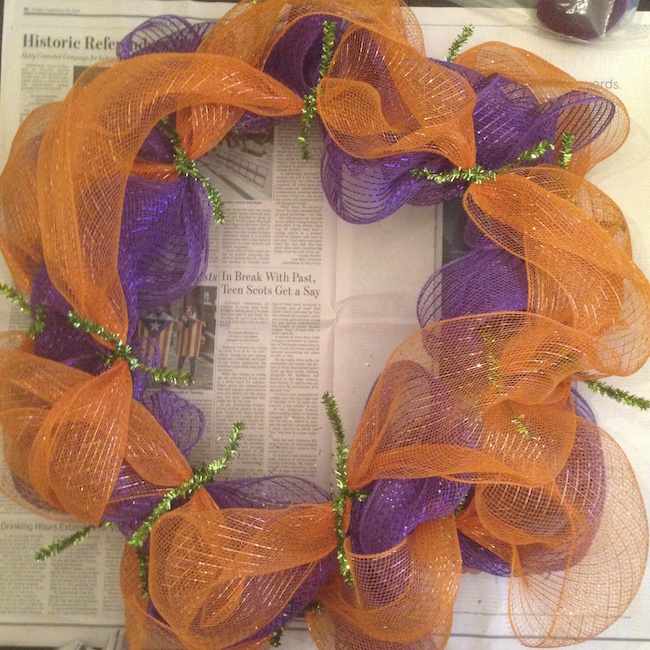 The third color, I cut about a 12 inch piece and rolled up, folding it in half and placing them sporadically around the Halloween wreath. I added my legs by attaching them with a pipe cleaner. I added the hat with the attached wire. Remember, there is no right or wrong way. It’s all a matter of personal preference. 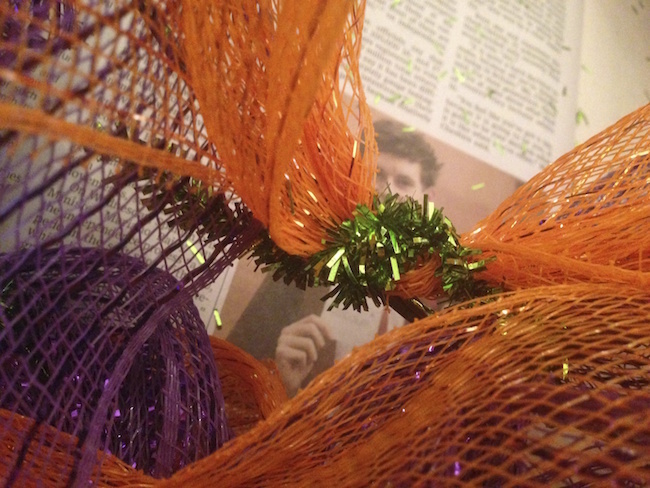 Once you are all done adding your embellishments, twist all the pipe cleaners tightly. Then push them around the back and twist again. Hang it up in your favorite spot. I like to use one big roll and then smaller rolls for the second and third. It makes it easier for me to work with it. You can use all big rolls if you would like. Again, that’s a personal preference. Stop back and let me know if you make one and share the pics with me. Happy Halloween! 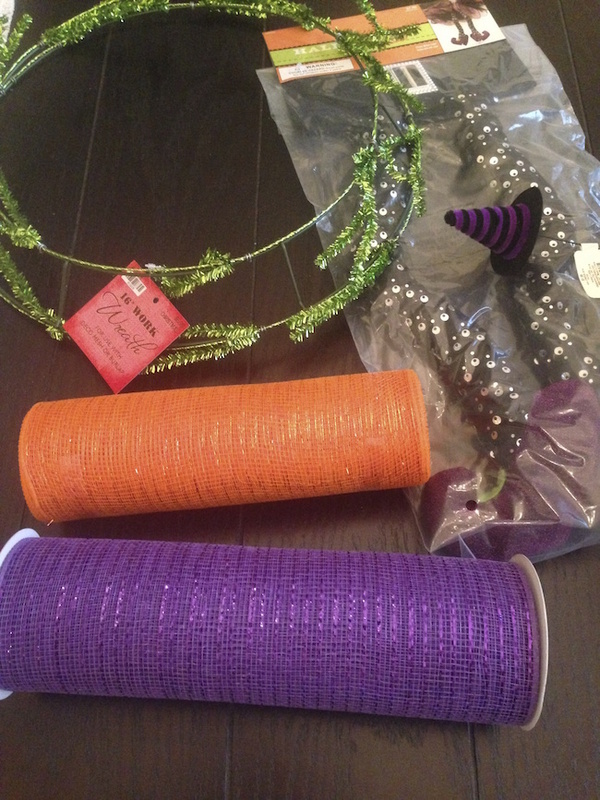 Check out some of our Halloween Decorations and Party Themes. 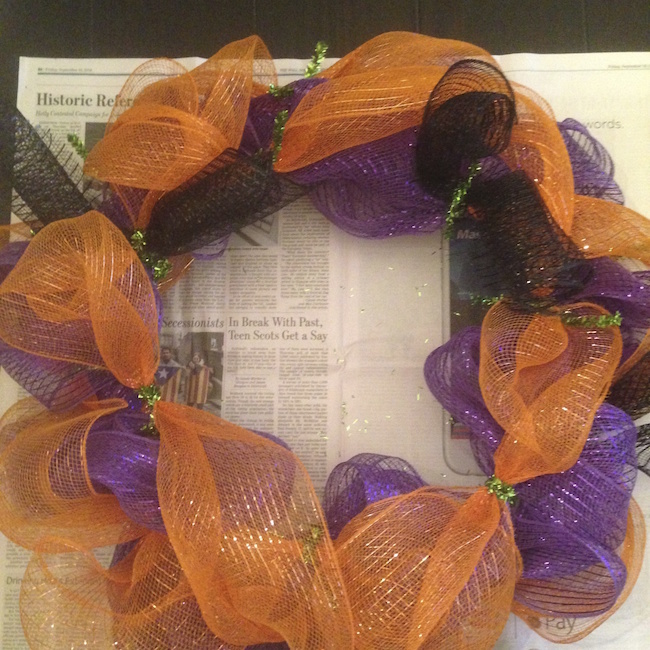 What Halloween crafts do you like to make?